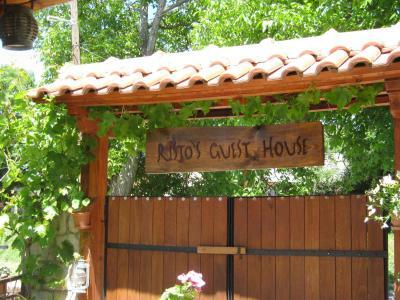 Lock in a great price for Risto's Guest House – rated 9.7 by recent guests! 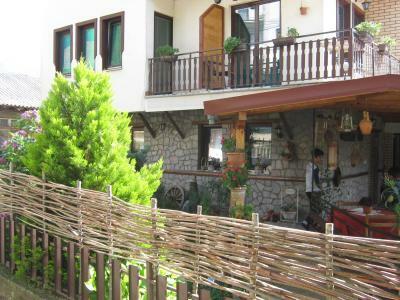 The Guesthouse is located in a peaceful village inside the national park. Trails start 30m from the Guesthouse so its great for hiking. 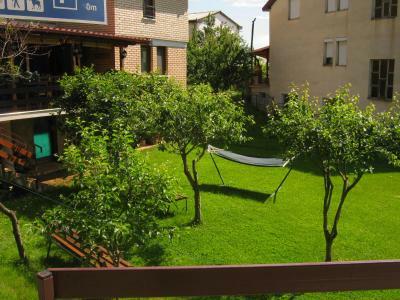 The atmosphere is serene, rooms spacious and the view is great. 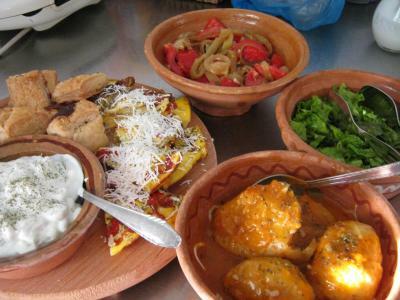 Not to mention the food which is delicious and plentiful! Coffee is free of charge and the hosts take real good care of their guests. Best hosts ever! We got such a warm attitude that we felt at home! Welcoming drinks and the most tasty Shopska salad! 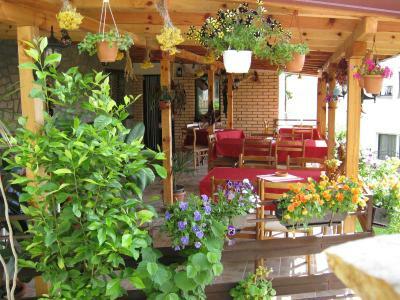 We really recommend to have dinner at the guesthouse, it is the best! Our check in went smoothly and every request got handled quickly. Beautiful sunsets! Thank you, Anita! 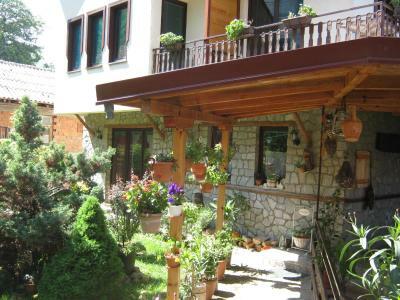 Risto's guesthouse is a very nice place in a small village near Ohrid. 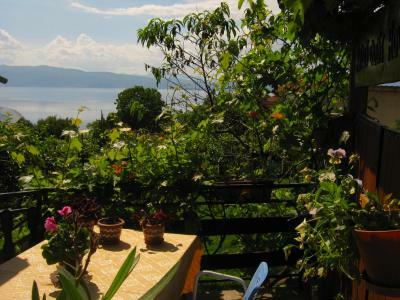 The environment is beautiful, from the terrace you have a lovely view at the lake. The hosts will help you with everything. Good place for hikers. Anita and Risto were lovely. 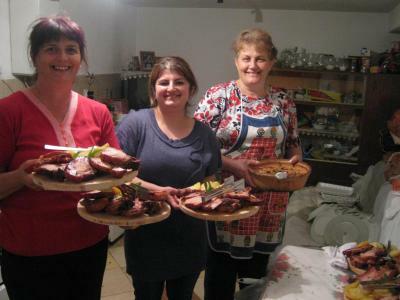 It is obvious they are fulfilling a calling, they are wonderful hosts. 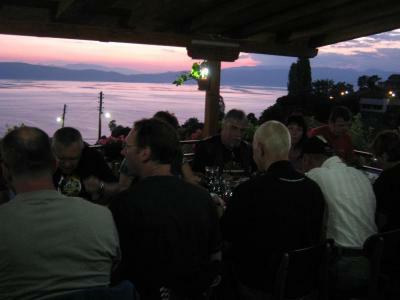 The place has stunning views the food is great. 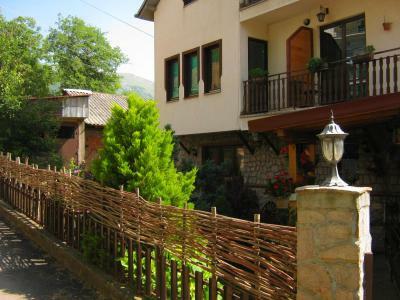 Elshani is a lovely quiet village away from the hustle of summer travelers. 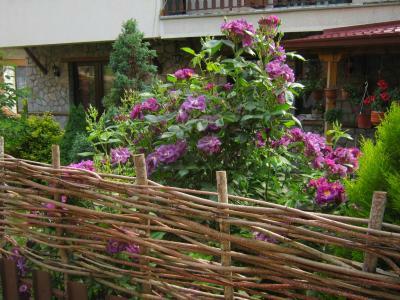 At the same time it is very easy to get to beaches or Ohrid from the guest house. It was wonderful. The 20.000 meters view from our balcony, the quiet nights, the adventurous road through the village, the wonderful host! We've got a very pleasure welcome and very kind people. 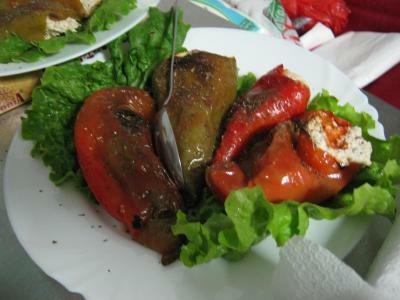 The breakfast and the dinner were local specialities and they were very delicious. 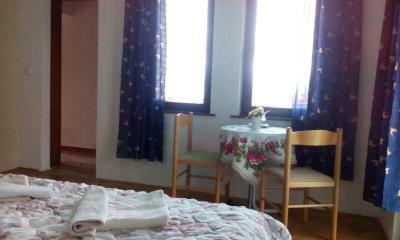 The rooms had a very nice view to the lake and the mountains. It's a quite place. We reccomend it for everyone. 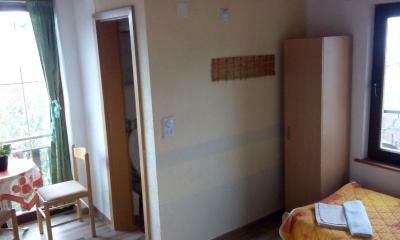 Risto and Anita made me feel welcome from the start. They are very gracious hosts. 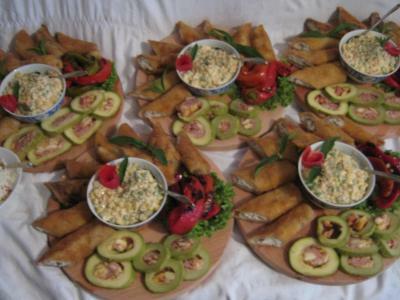 Anita's meals are extraordinary. 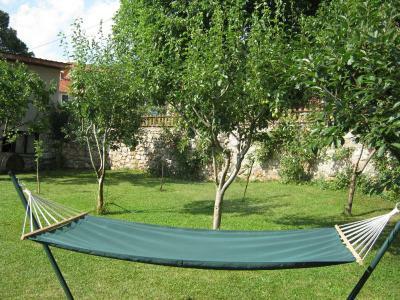 The premises are very clean and the grounds are well kept. The Wi-Fi is excellent. Thanks from all our family to Anyta and Risto for such great days that we passed in their house. 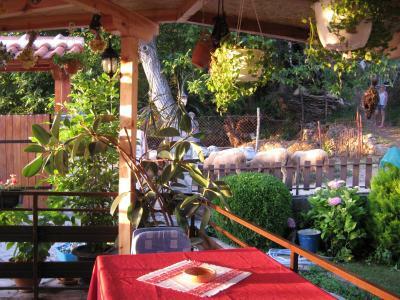 We liked everything : the house with its hosts, the village, the food and the wine, the nature. All the best is done for the guests (children and adults) by this nice couple. Risto and his wife Anita is really exceptional hosts. Apartment is nice and clear. 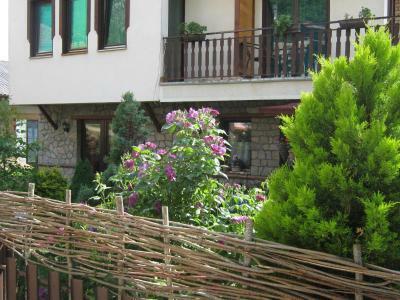 Accommodation is situated in village near the lake Ohrid without any other apartments, so you can enjoy the true countryside atmosphere. A fine breakfast and dinner was delicious. 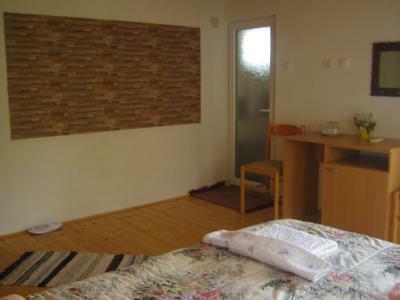 Risto's Guest House This rating is a reflection of how the property compares to the industry standard when it comes to price, facilities and services available. It's based on a self-evaluation by the property. Use this rating to help choose your stay! 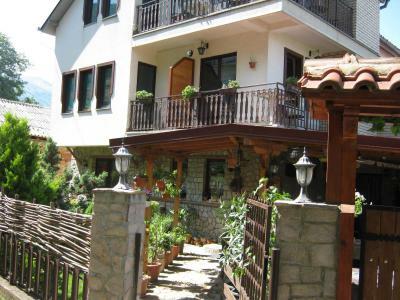 One of our top picks in Ohrid – and a guest favorite. 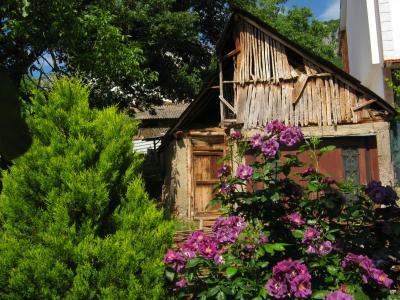 Risto`s Guest House is located in the village of Elshani in the Galichitsa National Park. 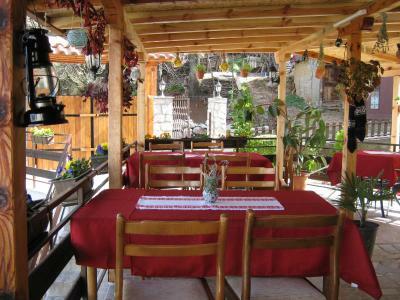 It offers traditional food, panoramic views, various excursions, free Wi-Fi and free parking. 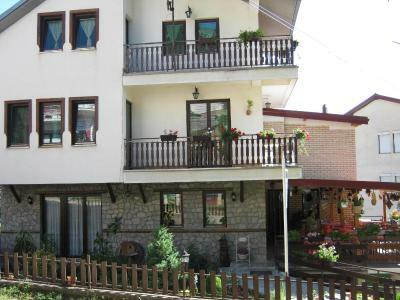 Situated half a mile above sea level, 6 miles south of Ohrid and one mile from the Ohrid Lake, you can enjoy panoramic views of the lake and the mountains from your balcony at Risto's Guest House. 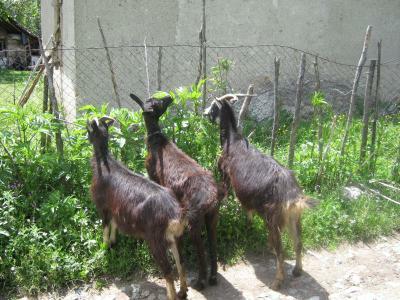 You can also take part in guided excursions to the National Park, donkey safaris and cooking classes. 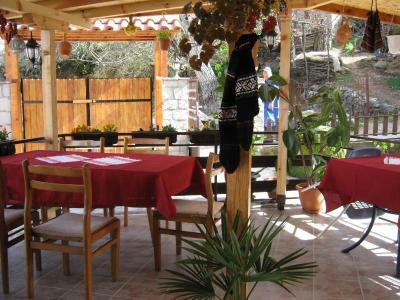 The hosts serve homemade wine, brandy, bread, traditional Macedonian food. However, this isn't fast food, so be sure to ask the owners about meal options as early as possible. 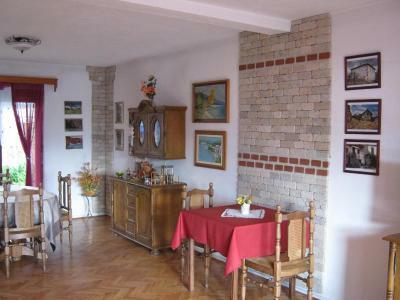 The owners of Risto's Guest House speak English fluently. There are also a few stores in Elshani stocked with basic supplies. 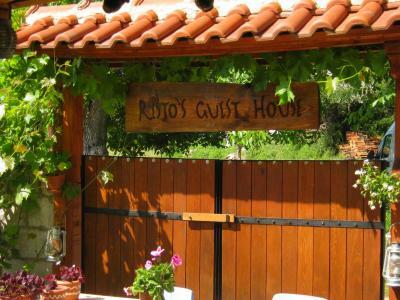 When would you like to stay at Risto's Guest House? This room features a private bathroom, seating area and a balcony with lake views. 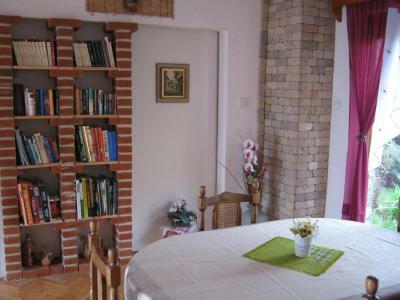 The family room comprises 2 rooms and a bathroom. 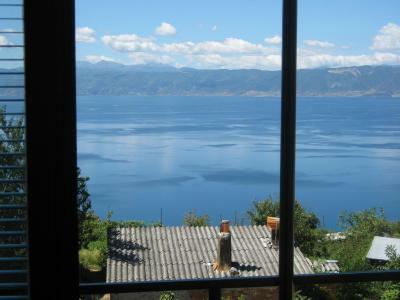 There is a balcony with lake view. This room is located in the annex building, set 131 feet from the main building. 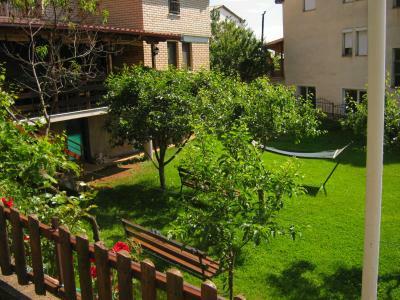 It comes with free WiFi, a TV with cable channels, a refrigerator and a terrace with lake views. The private bathroom comes with a shower. Please note that the breakfast is available and served at the main building. 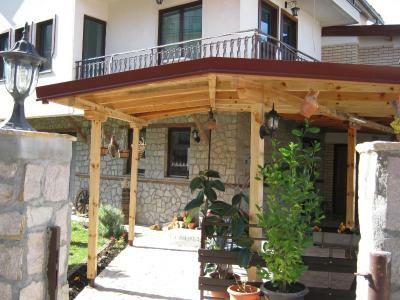 Dear Guests Our guest house is a small place up in the mountain in the Galichica National park only 20 minutes by car from the city of Ohrid in the village Elshani. 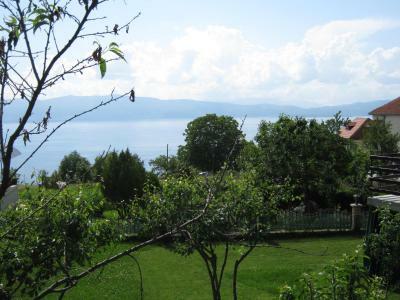 What make our village special is you are only 20 minutes from the town and you have totally different rural atmosphere, where you can enjoy the national park and the view on the lake at the same time. 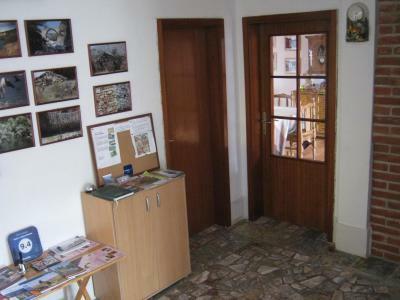 You can reach our village by car or use the local buses,they run almost every hour. 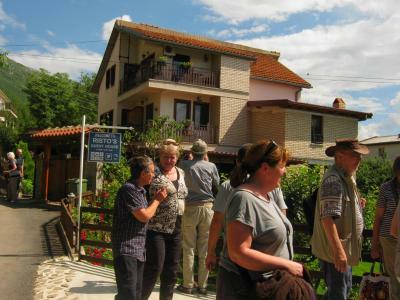 Staying with us you can learn about our culture, our way of life in the village and in the Balkans in general, since we are always available for nice conversation about many thinks. 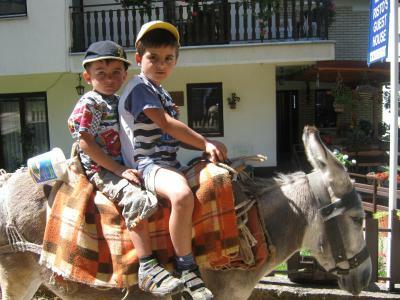 If you want a real adventure you will get to ride a Donkey along the trails that are use by locals to reach their field. 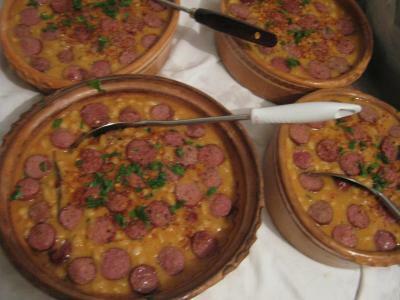 If you like to cook, during our cooking class you will help prepare traditional dishes.You can also try our traditional home made dishes to. 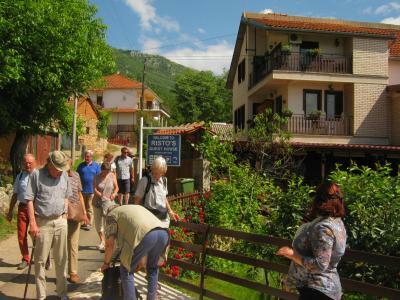 We can introduce you to fascinating natural beauties and cultural treasures of the area including many villages, medieval churches and monasteries.We want to thanks all our guests who stayed with us, who share there time with us,now we know about many cultures and have friends from all over the world. 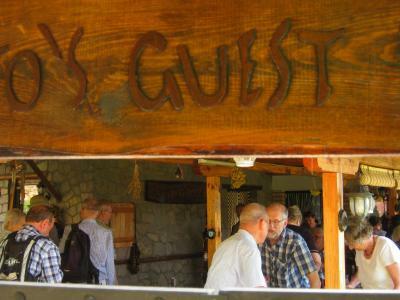 House Rules Risto's Guest House takes special requests – add in the next step! 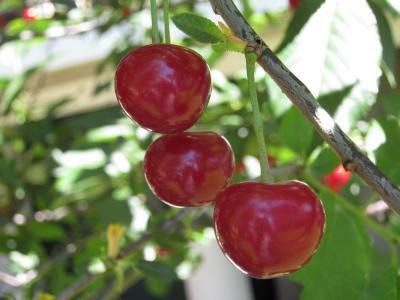 Everything was great, nothing to complain about! The eviction of the shower water needs improvement. But you can handle it yourself. 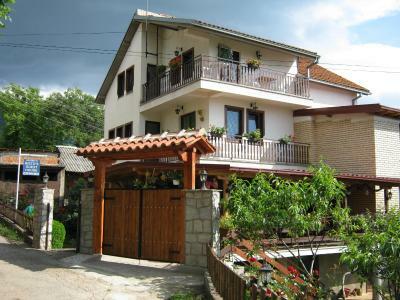 Risto and Anita were kind, helpful, honest and absolutely great hosts. They have a dog and our daughters love it. 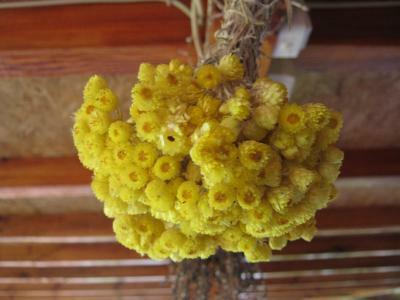 It located in a 600-year-orginal-village which is rare because everywhere is becoming indenticial in the world nowadays. 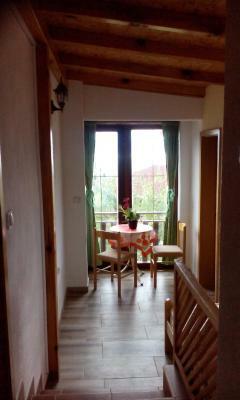 Just returned from a short break at Risto's Guest House. First time we had been and certainly not our last. Definitely on the return list. 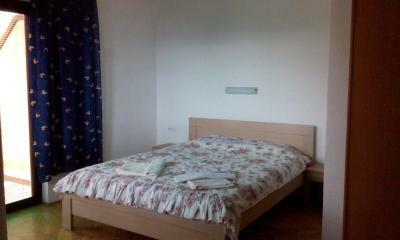 Accommodation was really lovely , spotlessly clean, beautifully decorated rooms, and lovely comfy beds. Breakfast and also dinners were great,good choice,well cooked and filling.Anita and Risto are brilliant hosts, welcoming, friendly and helpful. 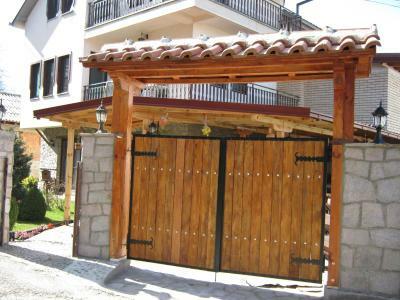 Elshani village is definitely a place to stay, the beautiful mountainside location make the finishing touches. Highly recommended. Owners are extremely lovable, donkey tours!! Awesome Dinner!! !